If you’ve been considering building an outdoor deck to your home, call O’Leary and Sons to help you with the design and construction. They are licensed and professional, aiming for customer satisfaction and quality service. professionals such as the ones at O’Leary and Sons ensures that everything is safe and standardized by coding laws, as well as manageable with a tight schedule. The first thing to talk about are the different things you’re going to need. The first item you going to need is a level, if you do not use a level in your deck will not be level, and it’ll be very awkward walking around on your deck if it is not on an even plane. The next thing you’ll need is a power drill, this is pretty self-explanatory. The next thing you’ll need is a tape measure, again, this item is pretty self-explanatory. You will also need a framing square, chalk line, hammer, and goggles. The next thing you’ll need are some gloves as well as a shovel. The next you want to do is determine the type of what you’re going to use the most common types of wood art mahogany, Cedar, Pine, and Cypress. Since you came here looking to build your own wood deck I’m going to assume that you are on a budget and if you’re on a budget I would not suggest use pine because Pine is absurdly expensive, but what I would recommend is Cedar, it’s relatively cheaper and more robust. Once you determine your type of wood, you’ll want to start drilling posts, if you have extra money I would deftly suggest that you rent out a borer, it might such a bad couple hundred dollars but the amount of time it’ll save you is huge. The next thing you want to do is actually fill the holes with cement. Will you be inviting guests over often? Do you plan on installing a pool, or heck something you should really consider is where you’re currently residing. If you’re an urban area then perhaps you should build smaller deck whereas if you large area you should build a larger deck. There are many things to consider before you even start your building a deck colorado springs, but this is probably the most important. 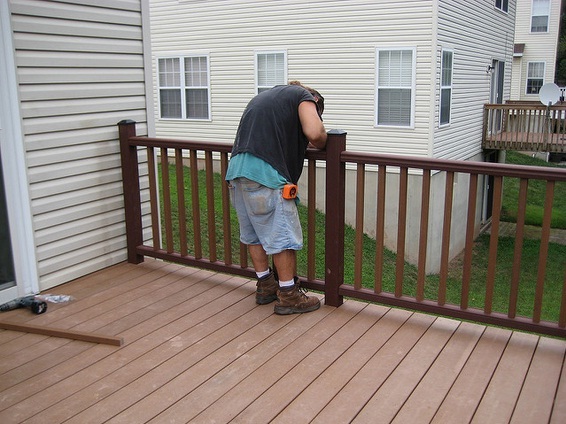 Instead of dealing with the hassle of large DIY projects, calling OLeary and Sons will make your deck building process headache free. Call today for a consultation!